I love Halloween and I always want to do really cool nail art, but I’m completely terrible at any but painting my nails a solid colour. 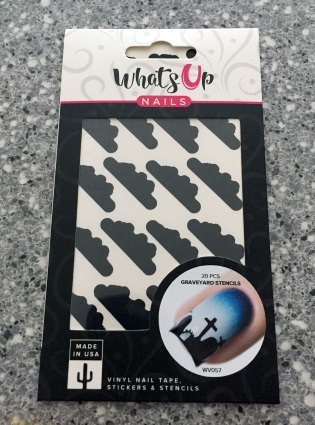 When Nail Polish Canada offered us a chance to give away ten sets of Graveyard nail vinyls from Whats Up Nails, I jumped at the chance. Not only are they a fairly easy way to get really cute Halloween nails for myself, but for anyone reading this as well. My vinyls got here a little late so I haven’t had a chance to use them yet but this photo is a good example of what they look like. I’m personally planning to use them as nail stickers on top of gray polish. If you want a set of these vinyls free (and free shipping! ), head over to this Nail Polish Canada page and use the code KK1G9C7E0. The first ten people get a free set. 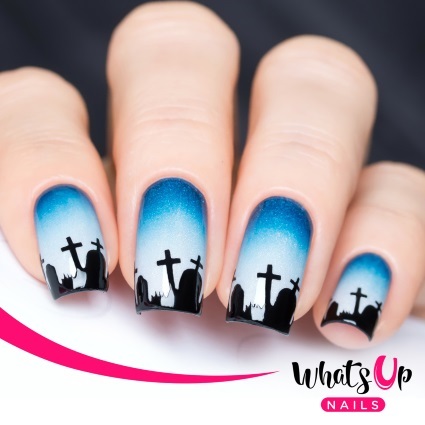 Happy Halloween nails! We want to see how you use them. A lot of us have hair that’s thinning or getting finer as we get older. Luckily Nioxin has been rebuilding hair for almost 30 years and has a number of systems for different needs to help us all get thicker looking, healthier hair. 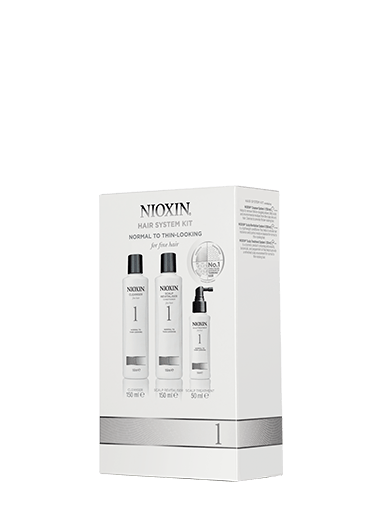 Whether you want to try and grow back hair that seems to be disappearing or just wanted thicker looking hair, Nioxin is a great place to start. We’re taking the 30 Day Challenge to try and get some fullness back in our hair and we’re giving 5 lucky readers the chance to take on the challenge as well. All we ask is that you take some before and after photos and let us know how it went. 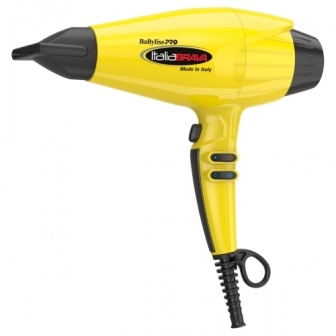 So if you’re ready for brand new hair just in time for the new year, this is the challenge for you. There are a ton of things we do for our moms on Mother’s Day and Ours by Cheryl Hickey came up with a great Pamper Me Program that has a gift including Ours products as well as other Canadian Eco-friendly brands. While we love the idea for Mother’s Day, why do we have to wait for a holiday to give one of these to our mom or ourselves? 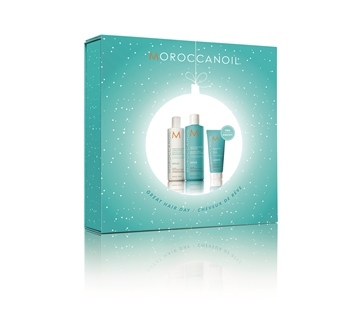 Included in the Pamper Me gift are three products from Ours by Cheryl Hickey. The 3-in-1 Hydrating Oil, the Face & Body Exfoliator and the EveryBody Lotion. 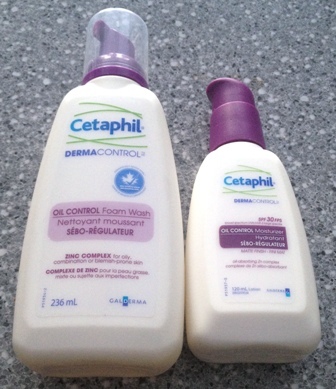 I love that this line is free of so many things like parabens, synthetic fragrances, dyes and so many other harmful chemicals and they can be used on pretty much anyone and any skin type. The other products included in the gift are tea from Lemon Lily, a Konjac sponge from Washbeautyco. and a sheet mask from Maskeraide. You have the start of a great girls night with a couple of these gifts. To start you off on pampering we’ve teamed up with Ours by Cheryl Hickey to giveaway one 3-piece set consisting of the 3-in-1 Hydrating Oil, the Face & Body Exfoliator and the EveryBody lotion. 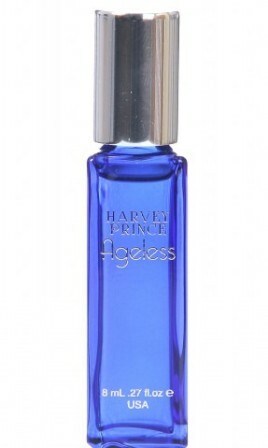 I really like a lighter scent for spring and summer, so I was really happy to try Ageless from Harvey Prince since it’s a really fresh and fruity perfume. The notes read almost like like a fruit salad (pink grapefruit, pomegranate, mango) but with jasmine and musk mixed in. It’s a super light and refreshing fragrance. I love the size of the roller because it’s so easy to throw in my purse for touch ups. It’s not the longest lasting fragrance but since it’s so easy to reapply, I don’t mind. The tagline for Ageless is ‘now you smell as young as you feel’ and while I don’t know if it makes me feel any younger, this definitely not an old lady perfume but it’s also not something that reminds me of high school. I honestly can’t wait to try more scents from Harvey Prince. Now Harvey Prince is giving our readers a chance to win an Ageless Roller EDP of their own! And just in case you don’t win, they also gave us a code so that everyone that wants one can get one for free on their site, pick the Ageless roller, enter code agelessxoxo and pay for shipping. Let us know if you love it as much as we do! We’ve been talking about periods more than we’d ever planned on but after posting our Stayfree Challenge (see the post here) we’re a little more comfortable with it. o.b. Tampons have been around for 50 years and while you don’t see as much advertising for them as much as you do with other brands, you still probably know quite a bit about them. What makes o.b. stand out is the lack of applicator. 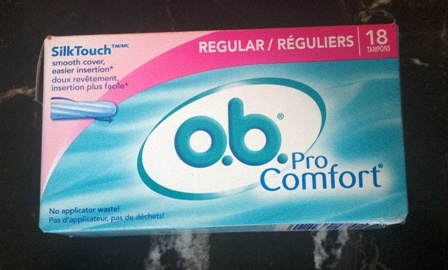 If you’re someone who gets easily embarrassed about having to carry around pads or tampons, o.b. 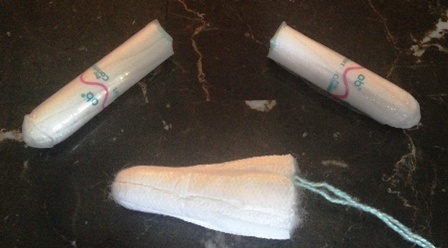 tampons are so tiny no one will even notice you holding one. As small as they are, they work really well. It takes a little while to get the hang of using them but once you do it’s like using any other tampon but without all the extra garbage. Perfect for the girls who are a little more environmentally friendly! o.b. is running their Give Us One Period campaign right now. You can go to www.giveusoneperiod.ca to rate and review the tampons and find out more information on them. You can also join the conversation on Twitter at ob_Canada and win prizes, make sure you use the hashtag #giveusoneperiod. To celebrate the campaign, we’re giving away packages of o.b. so you can try them for yourself! Fall is coming and we’re all going to be looking for new ways to moisturize, so we’re giving away a Bio-Oil Prize Pack including: Bio-Oil in 3 sizes 60, 125 and 200 ml! Bio‑Oil is a specialist skincare oil that is clinically proven to improve the appearance of scars, stretch marks and uneven skin tone. 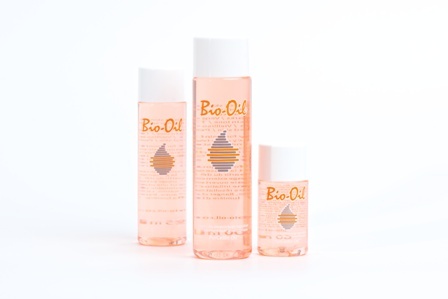 Bio-Oil’s moisturizing properties also make it effective for aging and dehydrated skin. A truly multi-tasking oil, can be used as a moisturizer for face and body, to gently remove makeup, to condition nails and cuticles, to soften dry heels and elbows, to tame split ends, to soften and condition lips, to relieve itchiness, to soothe skin after shaving, or as a moisturizing bath oil. Bio‑Oil has garnered 184 skincare awards and is the No.1 selling scar and stretch mark product in 17 countries, including Canada. Cargo products are finally easier to get in Canada again and to celebrate we decided to do a Most Wanted on our favourite Cargo products and giveaway a prizepack to one of our lucky readers! Not only is a primer really important in the summer but one that’s also mattifying? Completely necessary. 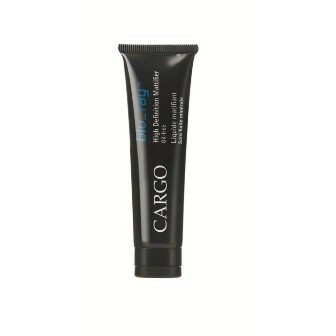 This one goes on really smoothly and lasts all day without feeling heavy. And it does a really good job on getting rid of the shine. My eyebrows are so pale they look bleached, which makes finding a pencil that doesn’t look completely fake nearly impossible. Until I found the Cargo Brow Pencil. It’s pretty much changed how I feel about my eyebrows. If you’re not an eyeshadow expert (and really, how many of us are? 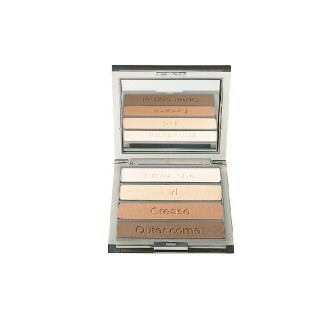 ), this palette is perfect for you. 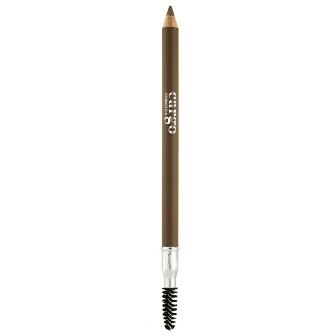 It tells you exactly where each shade goes and comes in a few great neutral options. 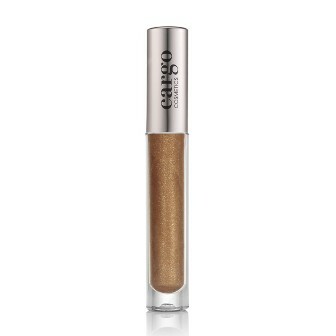 The shades this lip gloss comes in are gorgeous, not sticky and have pretty good wear time. What more could you want in a gloss?